When people tell me they want to skip the getting ready photos, it’s almost always citing a concern with spending too much time on prep. And, likewise, when people come around looking for 12 hour coverage or more, there’s a good chance they don’t need all that and they’re over estimating how much time the photographer needs to spend with them beforehand. If you’ve never been in a wedding party before, you might have some wild ideas about what your photographer needs to get the images you want. 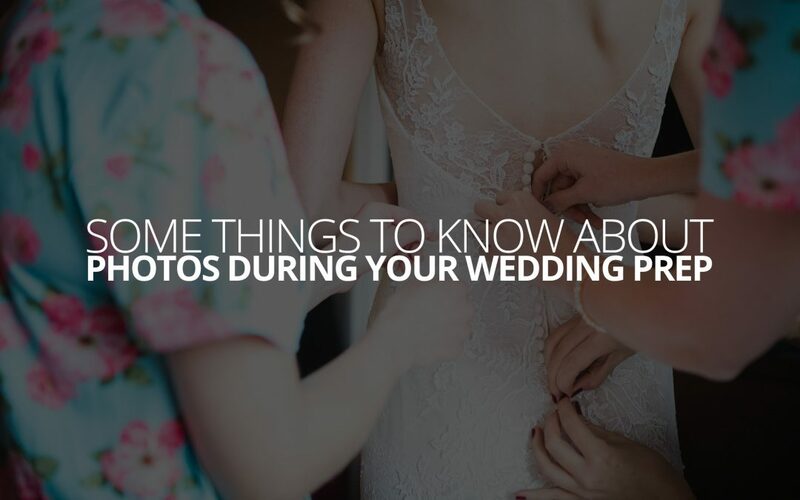 So, this week on the blog we’re going to zero-in on that section of your wedding day when the photographer is capturing some images of your preparations. My hope is to give a better idea of what that time looks like from their perspective, what you can expect from your plan, and hopefully help you make a more informed decision about what you need to get the images you’re hoping for. Here are some things you’ll want to know. Hotel rooms are typically made for 2 people—maybe 4, if they’re on the larger side. A big bridal or penthouse suite is usually around the size of a first-floor town house. What that means is once your family and wedding party are buzzing about, it’s going to feel pretty cramped pretty fast, add into that a photographer, and things can start feeling claustrophobic quickly. And, for some people in those close quarters, the constant camera clicking and photographer prowling around to get a good angle, can cause anxiety. The real purpose of prep-photos is not typically exhaustive coverage, so much as it is to capture the flavor of the time you spent before your wedding ceremony. Who was with you? What was the mood in the room? What were you drinking? How did you feel? These are the sorts of things photographers shooting prep-photos aim to preserve; It’s not a play by play, it’s usually a sampling. And honestly, that’s probably the way you want it. If you’re imagining you need your photographer there at the same time as your makeup artist or hair stylist, you’re probably over-estimating how much time you really need. The only common exception here is if there are real and specific things happening earlier that are really important to you. How long you want your photographer covering preparations might have to do with the kinds of images you’ve seen on Pinterest or social media. But here’s the thing you really need to know about that—those clean, bright, airy spaces you sometimes see in prep photos… they’re clean, bright, airy spaces in real life. If you like those preparation photos you’ve seen, you’ll want a plan to keep the preparation area clean and tidy, and you need to get ready in a place that looks good to you. If it’s important enough, you might consider getting a second room—‘the mess room’—where boxes and supplies can be stored and where people can change real quick. An overflow room for everything not photogenic to you. As I was saying before, between wedding party and family and friends and planners, hotel rooms and bridal suites can feel cramped quickly, and once your photographer has what they need, it’d probably be best for them to step out of the way for everyone’s comfort. The thing is, if you’re getting prepared in a place that has little to do with your wedding (a generic hotel, for example), there’s little for your photographer to step away to. On the other hand, if your preparations happen at the venue or the church, your photographer can repurpose that time to prepare for something else, or to check some detail images off their list while they’re not immediately needed. When you’re getting ready at the venue, the photographer also has a chance to more deeply tie your preparation images into the larger wedding day narrative they’re weaving for you. For example, if they go and take photos of the dress, wouldn’t it be nice if it could have something to do with the venue you chose or the church you married in, rather than whatever wall paper the Marriott thought looked the nicest? Finally, here’s a list of things we usually look for during preparations, and how much time those things usually take so you have some kind of baseline to think from. Details, 10-20m – During preparations is typically where we capture some detail images that might not be available later. That’s things like the rings, the dress, shoes, flowers. For most people these are not mission-critical photos, but they’re nice to have and preparations is typically the most reliable time to create them. Last Touches to Makeup, 5-10m – We like to capture a few quick images of people putting the finishing touches on their makeup. This is often after the stylist is finished, and often includes a bridesmaid or a family member’s help. Getting into the Dress / Tying the Tie, 10-15m – One of the iconic moments on a wedding day is the final ‘suiting up’ that the bride and/or groom need to do, and it often includes some special people. Moms and sisters, for example, often help the bride into the dress. Fathers or brothers often helps the groom put on his tie or bowtie. These make for beautiful moments, and we always try to catch them. Parent Sees Their Child, 5m – Whether it’s the father of the bride seeing her in her dress, or the mother of the groom seeing her son, or any combination really, this can be a very special moment. A sort of tension can break, and happy tears are not uncommon. For some people, these are once-in-a-lifetime kinds of expressions, and we always aim to capture them. The Moment of Rest, 5m – For some people it might be everyone getting together for a drink, for others it might be everyone getting together for a prayer. Regardless, in the vast majority of bridal suites, there is a kind of moment of ‘rest’. Often everything except walking up the aisle or going for some portraits is done, and everyone stops for a moment. There is a collective deep-breath before the jump. We’re always keeping an eye out for that moment because while sometimes is funny, and other times it’s touching, it almost always makes for a moment you’d like to recall one day. If you’re looking for a wedding photographer, we’d love to hear from you. We can talk through all these considerations with you and help you plan out what you’ll need for the sorts of images you want. There’s no right or wrong way to do any of this, there’s just what you want and the experience you want to have. That’s why we treat every client as unique, and offer an array of different ways to use our services to get beautiful images and a low-stress experience. Check out the Wedding Photography page here on our website for more details, or feel free to go ahead and shoot us an email!